New Orleans was different from the start -- and that gave rise to jazz. “The Creole culture was Catholic and French-speaking rather than Protestant and English-speaking. A more liberal outlook on life prevailed, with an appreciation of good food, wine, music, and dancing,” the National Park Service website recounts. “Festivals were frequent, and Governor William Claiborne, the first American-appointed governor of the territory of Louisiana, reportedly commented that New Orleanians were ungovernable because of their preoccupation with dancing.” The area had a cultural mix that gave rise to the musical art form. “A well-known example of early ethnic influences significant to the origins of jazz is the African dance and drumming tradition, which was documented in New Orleans,” according to the park service. Jazz took off as a result of an interest in brass bands following the Civil War. Ragtime and blues also flourished in the later part of the 19th century. Ragtime differs from jazz. It was “fully notated music intended to be played in more or less the same manner each time, much like classical music,” Encyclopedia Britannica recounts. The music was basically written for piano. 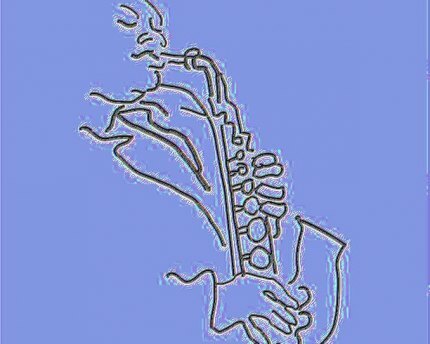 Jazz, on the other hand, was instrumental music, often improvised. BBC.com: Culture -- The mysterious origins of jazz. National Park Service: Jazz Origins in New Orleans. Smithsonian National Museum of American History: Jazz Appreciation Month. Herbie Hancock Institute of Jazz: Jazz in America, What is Jazz?